We love to decorate at Christmas. It’s our favorite holiday and one that we spend a lot of time planning and decorating for. 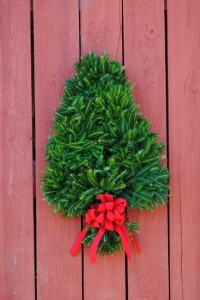 We are offering a Christmas tree shaped special Christmas wreath this season. These cute live Christmas wreaths are shaped like little mini Christmas trees and are a cute addition to anyone’s Christmas décor. They look especially cute on fence posts and in the front windows of a building. These are narrow enough to also fit on a large mailbox post as well, for those that love to adorn their mailboxes with decorative Christmas wreaths at this time of year. You can buy our Christmas tree shaped wreaths bare without any adornments and put it up without adding anything to it. The natural foliage and cute shape will stand-out. Or, if you are like many, you can add adornments and embellishments that fit the rest of your Christmas décor and colors this year. Our real Christmas wreaths smell absolutely heavenly. This is one of the reasons why people love to decorate with our Fraser fir wreaths and White Pine wreaths. They are so fragrant. White Pine is a good choice for those that may not like the bold smells of the Fraser fir. Bring a little bit of the outdoors into your decorative Christmas décor or you can use these Christmas wreaths outside as well and decorate fences and outside portions of your building or home. They also look really great as a front door option and are an alternative to the popular circular wreaths. 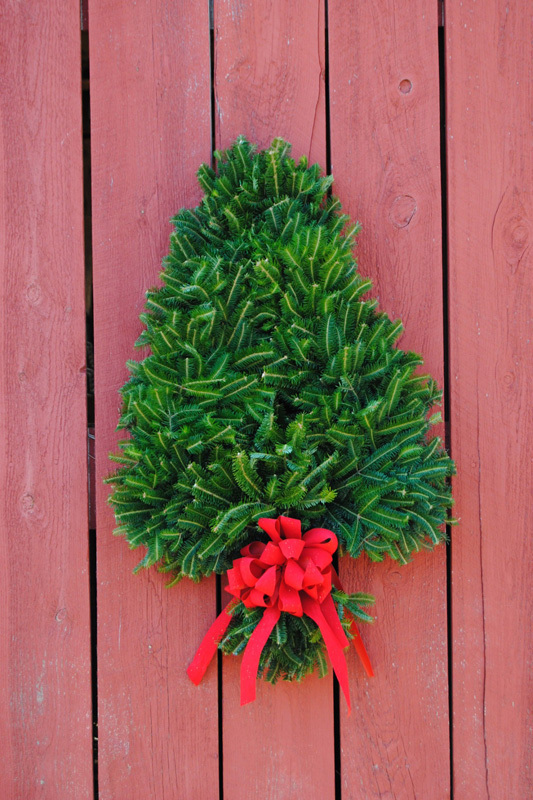 Sturgill’s wholesale Christmas tree farms sells wholesale Christmas wreaths at great rates. Put your orders in early before, the Christmas tree season starts that way we can ensure that we have the proper number and type of the wreaths that you want. We supply fundraising events as well and have worked with churches and other organizations over the decades to supply their fundraisers with trees and wreaths for sale. If you are interested in buying wholesale Christmas trees and wreaths give us a call.